ramsesosirus had the most liked content! ramsesosirus replied to BayAreaZ650's topic in Help Me !! Cool, thanks guys. I think I'll pick up a can of the fix a flat and start with that, but I won't put it in until I'm ready to roll around. I just want to be able to drive it a few times a month really. I did read it's sometimes rust, but they're not steel wheels, aluminum alloy I think. So I pulled the front right tire off, did the soapy water thing to find the leak, and its actually leaking along the rim. It goes flat in a few days. One guy told me to use the "sealant" with an air compressor? I know slime makes it a mess in the future. I've never used fix a flat or slime. I'm not in a position to buy a new tire right now. When you put a tire on a rim, do you just fill it until it seals with the rim edge, or is there some sort of adhesive etc? Like if it was so flat that it popped off the rim, could you just manhandle it into place while filling it with air? I don't mind filling it a little every month or so to drive it, but it's losing air too quickly now, and will probably go flat over the course of a cruising day.... It seems like all 4 have this problem, as they all lose air slowly, but the other 3 never actually go flat. just a tad low. I'm open for recommendations for what to do, or a brand to use etc. Thanks A road worker told me it will be another month before most of the potholes are fixed, so I have a little time to address this. Lol, we should have a contest to see which state is the last, Alabama vs. Nebraska... We didn't legalize gambling because the old football coach, Tom Osborne, didn't like it. So we send millions of dollars a year over to Iowa, since they have casinos... Tom doesn't like weed either, so we might be the last state... College football is all we have and all that matters here, apparently. And potholes. Not pot, potholes. We have plenty and they mess you up good. Sources for 240Z Bumper Trim? ramsesosirus replied to jfa.series1's topic in Help Me !! That is what I thought, they're just "hidden" beneath the cover. That blue Z actually was fixed, according to the guy who put up the youtube video. But it looks like even the quarters got bent. Cool thanks. Yeah, it's pretty much the only real issue I have with the car right now (of course there are small things always on a 40+ year old car). After I couldn't get the leak to stop, my solution just became not filling the tank completely full... and THIS is why: https://zcarsource.com/rebuilt-280z-gas-tank-sending-unit-for-the-1975-76-datsun-280z The 75-76 one is $250 for a rebuilt one, and you send them your old one. That's why I was looking at an alternative. And yes, 76 does go in from the side of the tank. I wonder if it would be possible to "block" the hole in the tank, and remove the sender completely? My last DD's fuel gauge didn't work, so I went with the tripmeter reset method... until I didn't want to completely fill the tank. I ran out of gas a few times haha. So will that one you linked to work for a 76 280z? I can only fill my tank about 1/2 or 3/4 full, when the level gets to the sending unit, it drips... I've already tried to epoxy the connections, as well as put on a new o ring and the locking cap. I can just get that one and bend the rod? I'd love to be able to fill up all the way! I did the same thing on my 76, only I did install some 240z bumpers. I wanted to keep the big bumpers for protection (the 240z bumpers do nothing...), but I've noticed that even with the larger bumpers, the bumpers sit too low and most modern cars on the road would just hit your tail light panel regardless. It would be interesting to see how much the rear bumper really does, or if it is too low. 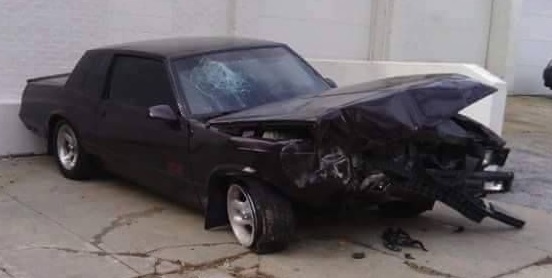 I know that if a large truck (F150 or something) rear ended a Z, no bumper is doing anything.